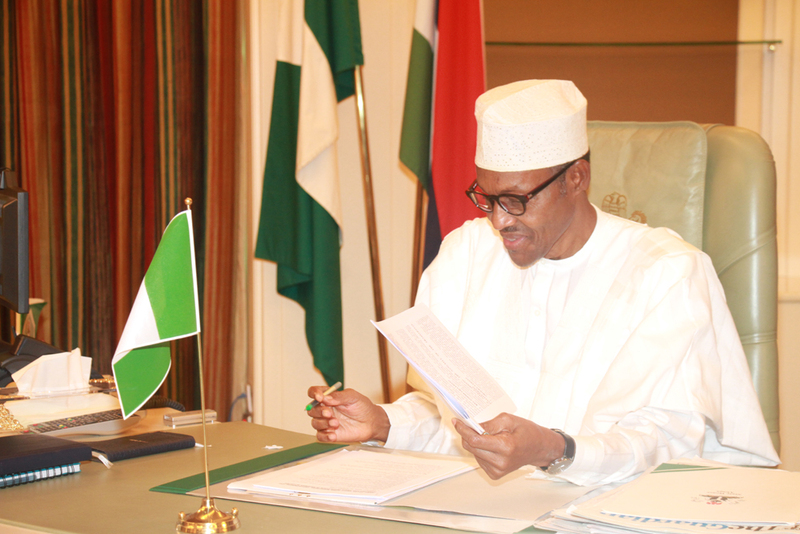 Buhari presides over FEC meeting | Welcome to Dare Lasisi's blog! Ministers at the commencement of the Federal Executive Council meeting on Wednesday offered special prayers, thanking God for sparing the life of President Muhammadu Buhari. Buhari was meeting the whole members of the cabinet for the first time since his return to Abuja on Aug. 19 after a medical vacation in London. The prayer session was led by the Minister of Communications, Mr Adebayo Shittu, and the Minister of Labour and Employment, Dr Chris Ngige. The ministers thanked God for bringing the President back “in peace not in pieces’’. While expressing hope that the President’s return would reinvigorate the cabinet and the nation’s economy, the ministers prayed for all Nigerians and for the country. Buhari shortly after the prayers received and rewarded the victorious D’Tigress players for winning the 2017 Women Afrobasket Tournament in Mali. He announced one million naira donation for each of the players and N500, 000 for each of their officials.